Disney's Coronado Springs Rix Lounge is High Energy Fun! 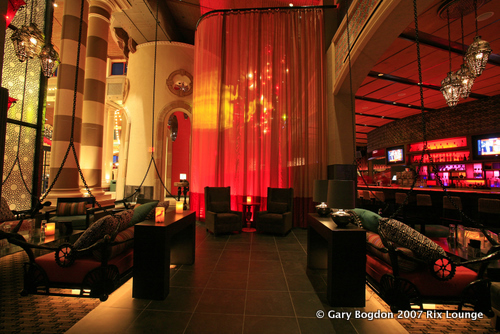 Home » WDW Planning » Disney's Coronado Springs Rix Lounge is High Energy Fun! If you're looking for a place to party all night where the top 40 hits play on a state of the art sound system, in sophisticated atmosphere, with the music pumping and people on the dance floor jumping, then Rix Lounge at Disney's Coronado Springs Resort may be the place you've been looking for. Opened in 2008, Rix's trendy, authentic Mexican decor moves you from the hotel's lobby into high energy world where the nightlife never stops. Seating 300, this 5,000 square foot lounge has a live DJ spinning the tunes and pumping up the volume for the folks on the dance floor. The DJ is on duty Thursday " Saturday 8PM until close. Rix has been voted one of Orlando's best bars. When you enter Rix, you quickly become enthralled in a lounge that oozes style from it's focal point onyx bar top to the glowing multi-colored backlit display. Rix's posh food is served tapas style with menu items including: a selection of dips, cheese empanadas, and a trio of Angus beef sliders with caramelized onions. To wet your whistle, you can try one of the signature cocktails such as a vanilla sunset or a summer wind. Disney's Coronado Springs caters to a host of convention goers at any given time, but on the weekend Rix is a favorite hot spot for locals as well. With it's posh Mediterranean design, the Rix truly rocks Disney's nightlife. This chic Mexican club also holds themed events. Coming up, you can enjoy parties on both Halloween and New Year's Eve. The space can also be rented out for benefits, group functions, and weddings. There's no cover charge (unless a special event is happening) and parking is free! There's also no dress code at Rix; but flip flops, shorts, and tanks are frowned upon. 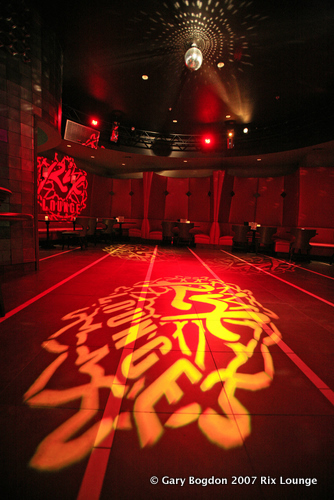 Have you danced the night away at this upscale hot spot? Let me know how you liked it in the comments below! Wow, I had absolutely no idea this existed! We don't drink or dance, but I think it would still be lots of fun to check out some time. It looks really cool inside. Rix is a sweet hidden gem of WDW! I've never really had the desire to stay at Coronado, but this looks pretty cool and I think it would be a fun spot! Its a great place to have some tapas too! After years of doing the usual activities at Disney, my friends and I realized a great new way to experience Disney which this series covers. Hotel and bar hopping is a lot of fun. I've been to most of the hotels but not all the bars but I definitely look forward to checking out the bars in the lower tier hotels. The Rix looks like fun. So far we have hopped by train, boat and foot through the Contemporary, Wilderness Lodge, Polynesian and Grand Floridian bars and each has been a great stop showcasing their own drink menus. We look forward to seeing some of the others and everything they have to offer. Keep posting the bar hopping series and more people will discover this great Disney activity. Personally for me, t-minus 11 days until our annual 2012 Food and Wine Trip!